McMILLAN, Thomas Sanders, (husband of Clara Gooding McMillan), a Representative from South Carolina; born near Ulmers, Allendale County, S.C., November 27, 1888; attended the common schools near Ulmers; graduated from Orangeburg (S.C.) Collegiate Institute, 1907; taught school at Perry, Aiken County, S.C., in 1907-1908; graduated from the University of South Carolina, Columbia, S.C., 1912; completed the law course at the same university in 1913; admitted to the bar in 1913; lawyer, private practice, Charleston, S.C.; professional baseball player; also interested in agricultural pursuits; member of the State house of representatives, 1917-1924, serving as speaker pro tempore in 1921 and 1922 and as speaker in 1923 and 1924; was not a candidate for renomination in 1924; elected as a Democrat to the Sixty-ninth and to the seven succeeding Congresses and served until his death on September 29, 1939 (March 4, 1925-September 29, 1939); member of the executive committee of the Interparliamentary Union 1937-1939, serving as delegate to the convention held in Oslo, Norway, in 1939; died in Charleston, S.C., September 29, 1939; interment in Magnolia Cemetery. Papers: In the Thomas S. and Clara G. McMillan Papers, ca. 1870-1980, 1.25 linear feet. 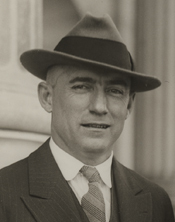 Collection includes general papers, speeches, photographs, clippings, and ephemera for Thomas S. and Clara G. McMillan, who represented South Carolina’s First Congressional District, 1925-1940. Of particular interest is correspondence from Clara McMillan to her son, Edward, after her retirement. There are also photographs documenting Clara McMillan’s “Mother of the Year” ceremonies in 1960, and dedication of the McMillan Memorial Highway in 1980. Further information and finding aid available at: http://www.sc.edu/library/scpc/mcmilltc.html. Papers: In the Daniel C. Roper Papers, 1867-1943, 56 linear feet. Persons represented include Thomas S. McMillan. Papers: In the Karl L. Rankin Papers, 1916-1973, 12.5 linear feet. Persons represented include Thomas S. McMillan. Papers: In the John P. Grace Papers, 1916-1940, approximately 1 linear foot. Correspondents include Thomas S. McMillan.